The Orange County Chamber of Commerce held its annual Business Expo on Wednesday, September 16 from 10:00 a.m. to 7:00 p.m. to promote and create networking opportunities for our area businesses. 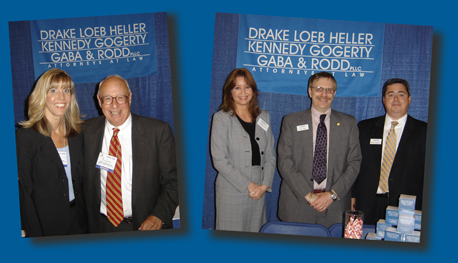 As counsel to the Chamber, Drake, Loeb, Heller, Kennedy, Gogerty, Gaba & Rodd PLLC was once again pleased to be a part of this event. With more than 2,300 members, the Chamber is the largest business and professional organization in the Mid-Hudson region and one of the ten largest in New York State. Timothy P. McElduff, Jr. at the 2008 Business Expo.